After eight commanding works of fiction, the Pulitzer Prize winner now turns to memoir in a hilarious, moving, and always surprising account of his life, his parents, and the upstate New York town they all struggled variously to escape. 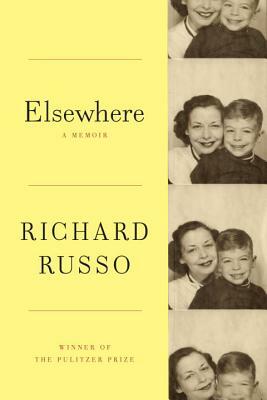 Anyone familiar with Richard Russo's acclaimed novels will recognize Gloversville once famous for producing that eponymous product and anything else made of leather. This is where the author grew up, the only son of an aspirant mother and a charming, feckless father who were born into this close-knit community. But by the time of his childhood in the 1950s, prosperity was inexorably being replaced by poverty and illness (often tannery-related), with everyone barely scraping by under a very low horizon. A world elsewhere was the dream his mother instilled in Rick, and strived for herself, and their subsequent adventures and tribulations in achieving that goal—beautifully recounted here—were to prove lifelong, as would Gloversville's fearsome grasp on them both. Fraught with the timeless dynamic of going home again, encompassing hopes and fears and the relentless tides of familial and individual complications, this story is arresting, comic, heartbreaking, and truly beautiful, an immediate classic. Richard Russo lives with his wife in Camden, Maine, and Boston. In 2002 he was awarded the Pulitzer Prize for "Empire Falls."